The resounding answer...YES. And anyone who tells you they don’t is trying to sell you something. And while yes, I have made a very good living over the years with this advice, I find the truth delivers results and results are worth paying for. Now it’s true, the quantity of calories you consume isn’t all there is to it. The quality of your food will affect your metabolism over time, so it’s important to avoid fake overly processed chemical laden foods as often as you can. Ultimately, your metabolism is your biochemistry. How many calories you burn in a day is just one function of metabolism. And yes, the foods we eat will affect our biochemistry for better and for worse. However, it happens over time for these bad “Frankenfoods” to manifest into a slowed overall metabolic rate, and cancer, and heart disease and so on– it doesn’t happen overnight. The bottom line is that eating too much of any food, no matter how healthy, will make you fat. I have often heard people say things like “I’m Paleo and the foods we eat on the Paleo diet don’t require you to count calories”. Absurd. Bears are paleo and they pack on plenty of fat to hibernate for the winter. Fat is nothing more than stored energy; a calorie is a unit of energy. The energy you don’t use gets stored in your body as fat. The obvious way to lose weight, despite whatever load of crap the diet charlatans tell you, is to eat less and move more. But that’s not always as simple as it sounds, is it? We used to believe, until very recently, that we could calculate weight-loss based on a simple equation: if a pound equaled 3,500 calories then we needed to create a 3,500 calorie deficit to lose a pound. For example, if you have 25 pounds to lose, then based on the 3500 calorie theory, if you exercise and reduce your diet for a combined deficit of 1000 calories a day, you should, in theory, lose 25 pounds in about 12 weeks (2 pounds per week). The most current research, however, published in 2011 in the Lancet suggests that this rule of thumb is both a misnomer and misleading. Not only do some people lose weight faster than others, but the amount that people lose is not equal within the same time frame. You simply go to this page, enter in your personal info and the amount and intensity of training you are willing to do and the simulator will ballpark for you how much you should be eating in a day. Try it; it is super cool. Mind you, the my app works with all tracker devices and the top tracking apps like MyFitnessPal, but in the event you want to go a little more old school, we can get in the ballpark of what you are burning in a day right now with a pen and paper and a calculator. The first thing we do is calculate your BMR or Basal Metabolic Rate. Your basal metabolic rate refers to the amount of calories your body uses for involuntary bodily functions– basically when you are asleep or at rest. It does not take into account the amount of calories you’ll burn from your daily activity, though. That’s your AMR or active metabolic rate. I’ll get into that in a minute. The BMR formula uses the variables of height, weight, age and gender to calculate your body’s energy expenditure. The only factors it omits are lean body mass (the ratio of muscle-to-fat a body has) and biochemistry. If you have hypothyroid, PCOS, insulin resistance, estrogen dominance, there is no way for the BMR formula to read that– you need blood work and an endocrinologist when dealing with these issues. Barring a hormonal disorder, however, this equation will be fairly accurate overall. One additional caveat, for the very muscular the calorie burn will be slightly underestimated and for those with a higher percentage of body fat the calorie burn will be slightly over estimated. After you have run through these simple calculations and come up with your BMR, we need to then calculate your AMR. This next exercise is going to tell us how many calories you are burning in a day without adding in your exercise burn. Simply the amount you burn throughout an average day of your life (sans exercise). If you are chained to your desk and sedentary most of your day you are a 1.1. People who fall in this category would be receptionists, telemarketers, customer service reps. If you are mildly active over the course of your day you are a 1.2. People who fall in this category are housewives, retail sales people, basically folks who are on their feet throughout the day, but not exerting themselves as a part of their jobs (though the moms amongst you might argue with me on this one). If you are active and on your feet moving at a fast pace you are a 1.3. I fall into this category as most trainers would. So might a plumber or an electrician. This applies to those that are up, moving, exerting energy, but not working on a chain gang. If you are extremely physically active you are a 1.4. Construction workers, professional athletes, essentially anyone who is constantly exerting themselves throughout the course of their day would fit in this group. Once you have identified which category you best fit, take that number and multiply it with your BMR. So, if my BMR is 1300, I would then multiply it by 1.3 and arrive at 1690. Now I’d know that if I eat around 1700 calories a day on the days I don’t work out, I won’t gain weight. Additionally, on the days I do workout I’ll be able to factor in that additional burn and ramp up my AMR even more. Let’s say I added an hour of training and I burned 500 calories during that hour, then my total AMR would be 2300. With all the info I’ve just given you here, there is absolutely no way you won’t be able to figure out your personal magic number. 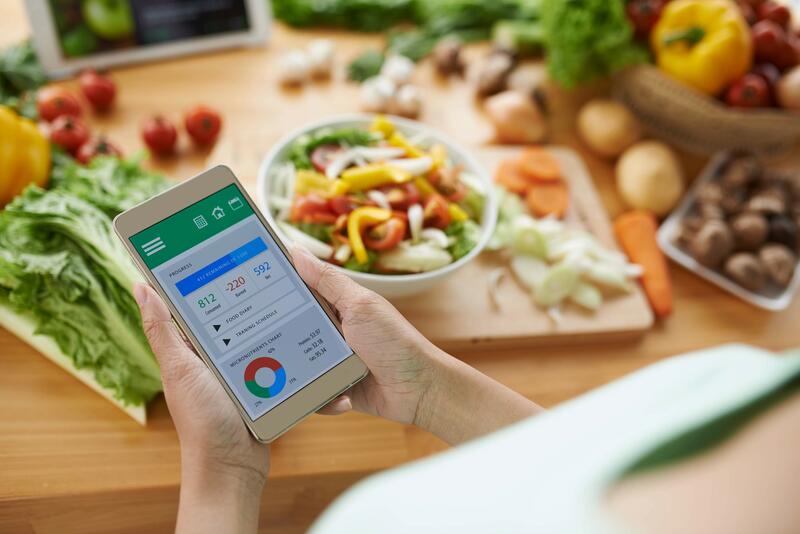 Use the link above to calculate your weight loss goals (amount of weight and time frame you want to lose it in) and it will tell you how many calories you should be taking in daily. Or, use the AMR equation I have provided here. As long as you don’t eat over your AMR on a daily basis you won’t gain weight.